This property is a 7-minute walk from the beach. 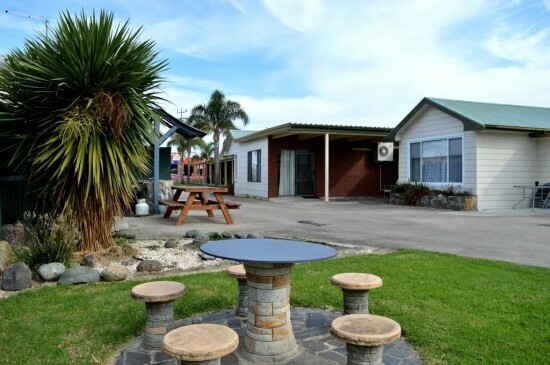 Located just 2 minutes’ walk from Lakes Entrance and 5 minutes’ walk from Ninety Mile Beach, the Jakaranda Holiday Units offer heated and air conditioned apartments with a TV and DVD player. Guests can enjoy the garden and outdoor seating area with barbecue facilities. Free parking and a boat parking area are available. The Lakes Holiday Units are directly opposite the Lakes Sports & Community Club and a 5-minute drive from the Lakes View Golf Course. Bairnsdale Railway Station is 35 km away. All apartments offer a kitchenette with a refrigerator, stove and tea/coffee making facilities. Each apartment has a sofa and desk. All bed linen and towels are provided. There are several restaurants and shops within 5 minutes’ walk of Lakes Jakaranda Holiday Units.